As an advocate for improved pain management in Canada, Lynn Cooper advises patients to access a multidisciplinary team of health practitioners. It's an approach she also takes to help manage the physical and emotional challenges of her own chronic pain. While most Canadians are aware of the prevalence of both chronic pain and mental illness, the frequency with which the two are connected is less understood. 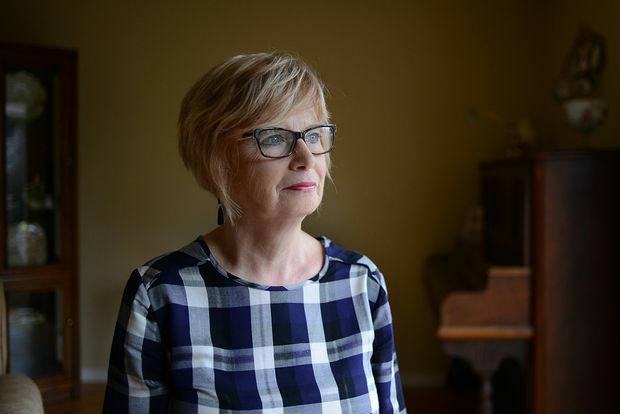 It’s something Lynn Cooper, a resident of Kitchener, Ont., has learned from both her own experience and her work as an advocate for improved pain management in Canada. As a young woman just launching her career, Cooper severely injured her back and foot while at work. That acute pain eventually turned into a chronic condition, which led to depression. The Canadian Mental Health Association reports that people with chronic physical conditions experience depression and anxiety at twice the rate of the general population. Witnessing firsthand the psychological toll of chronic pain during his decades of experience as both a chiropractor and in counselling psychology, Dr. Wayne Coghlan, who practices in Vaughan, Ont., recognizes the importance of connecting the dots between physical and emotional conditions. An important component of chiropractic care involves providing patients with self-management education and coping strategies, including goal setting and prescribing therapeutic exercises to help manage muscle, bone, tendon, ligament and joint conditions. Dr. Coghlan’s mantra to newly injured patients is “motion is lotion.” While it’s common to feel sore and frightened when experiencing pain or an injury, and patients want to rest, taking it easy for too long can turn that muscle and joint stiffness and achiness into chronic pain — and often a downward spiral into depression and anxiety. Motion can help prevent that from happening and research demonstrates that exercise can be effective in helping manage both mental health conditions and muscle and joint problems, such as low back pain. Each patient is the most important person in the equation, though, and his or her actions can mean the difference between living as well as possible under the circumstances and suffering. Cooper likes to create goals and adjustments to plans that may cause stress so she can enjoy life more. For example, rather than deciding she can’t travel because of pain, Cooper builds in rest periods before and after flights. If you have some of these symptoms, you may be suffering from depression or anxiety in addition to chronic pain. To help ease the burden, reach out to your health care providers.